Purchase 27 well-maintained, 3 bedroom townhouses rarely showing vacancy providing a 9% cap rate. 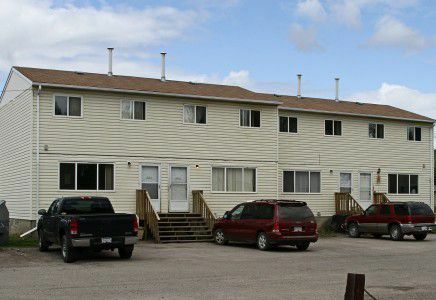 27 Well-maintained, 3 bedroom townhomes situated on 6 separate strata lots. Each unit includes 1.5 bathroom, full basement, and hook up for washer/dryer in basement. The units are heated by gas forced air which is paid for by the tenants. Located at 5206-5216 43rd Avenue, Chetwynd, BC between the Tumbler Ridge Coal Deposits and the proposed Mega Site C Dam Project near Fort St. John.